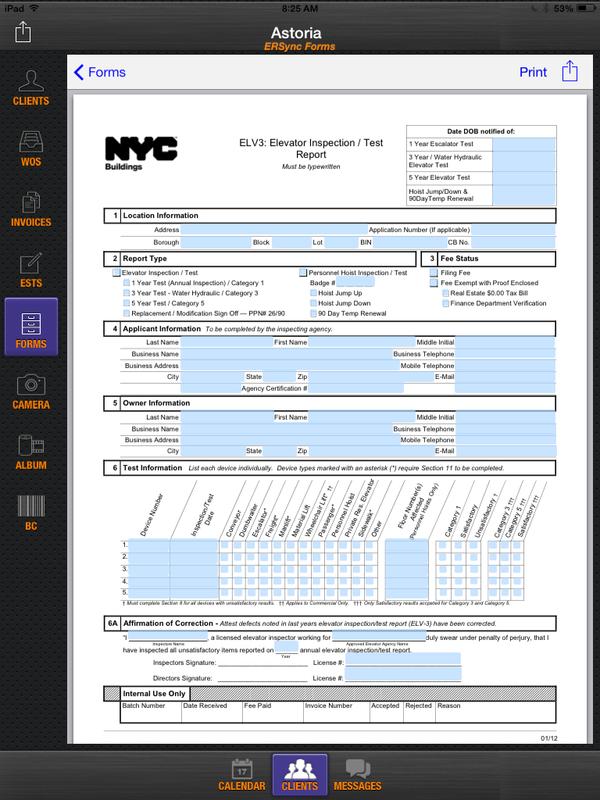 ER Sync delivers access to your forms and database on the most popular tablet in the industry, the iPad. 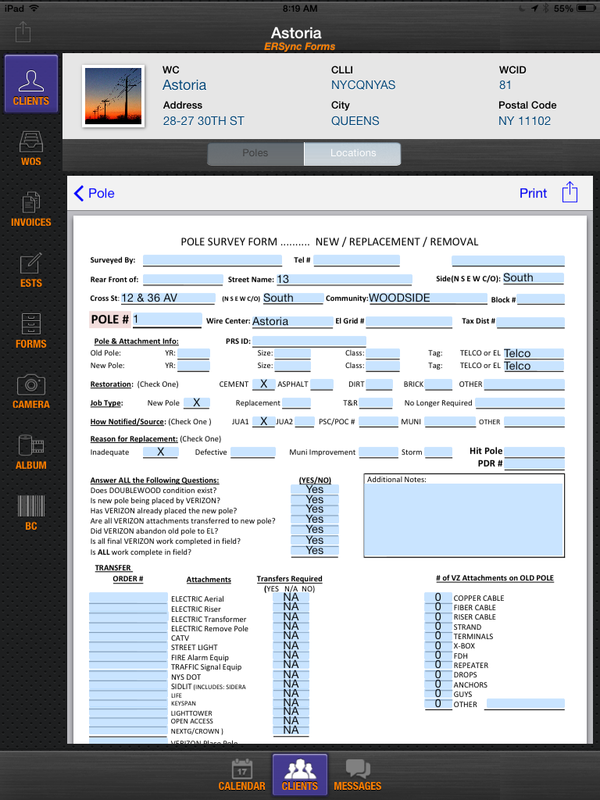 ER Sync is a native iPad application that transforms your forms into a mobile, secure, workflow application delivering private client information to your personnel’s finger tips. Through our application protocol interface, your company leverages their investment and commitment to their commercial or open source system of forms and databases. Our products and services remove the tether to this information and support you on the go, or rather, on the run! 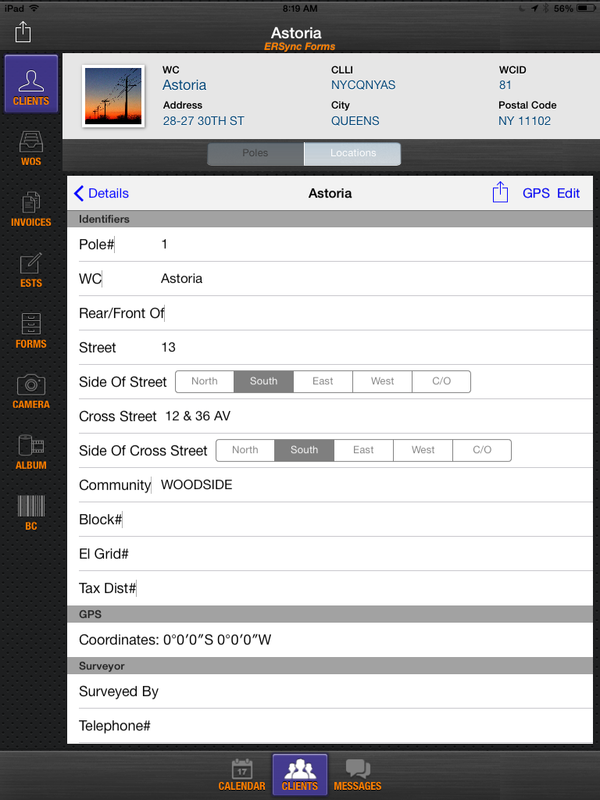 ER Sync is introducing an Apple IOS application using ER Sync“SpinTouch” ™ programming. 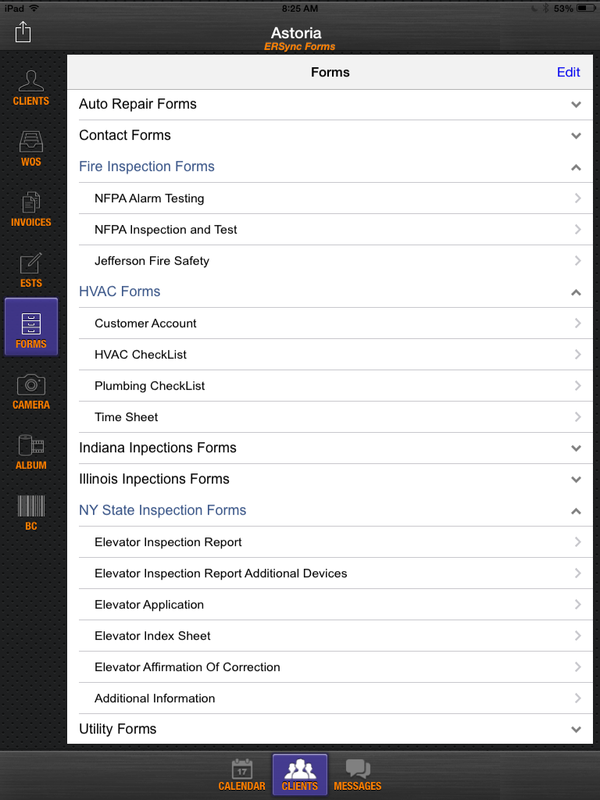 The application converts the Apple iPad into a tool for personel to quickly access the company's existing data base using existing company forms and make updates real time. Company personnel can "quickly update" company data bases on-the-go, wirelessly, anywhere a Wi-Fi signal is present in or out of the facility. The ER Sync“SpinTouch” ™ was designed by technicians for technicians. 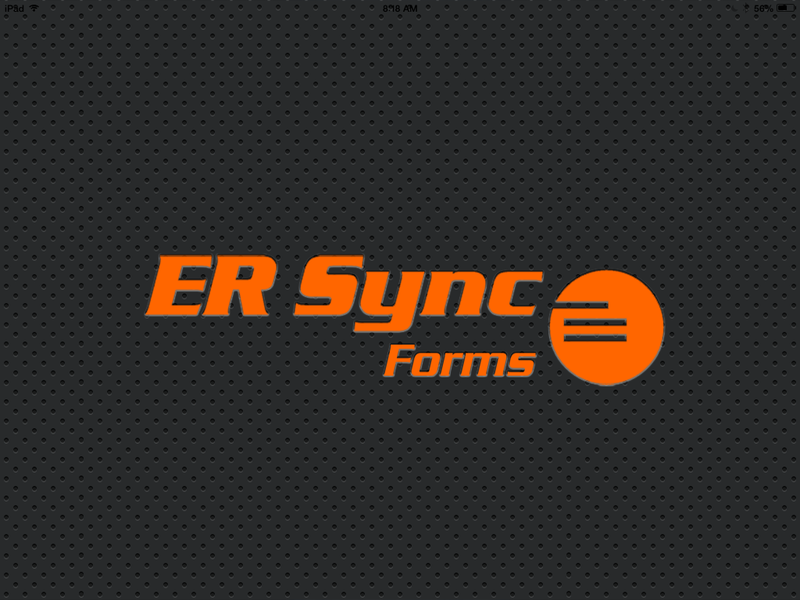 ER Sync's app will significantly improve the speed of accessing and updating electronic company records for any industry. This versus the current time consuming and inconvenient process of manually processing forms. 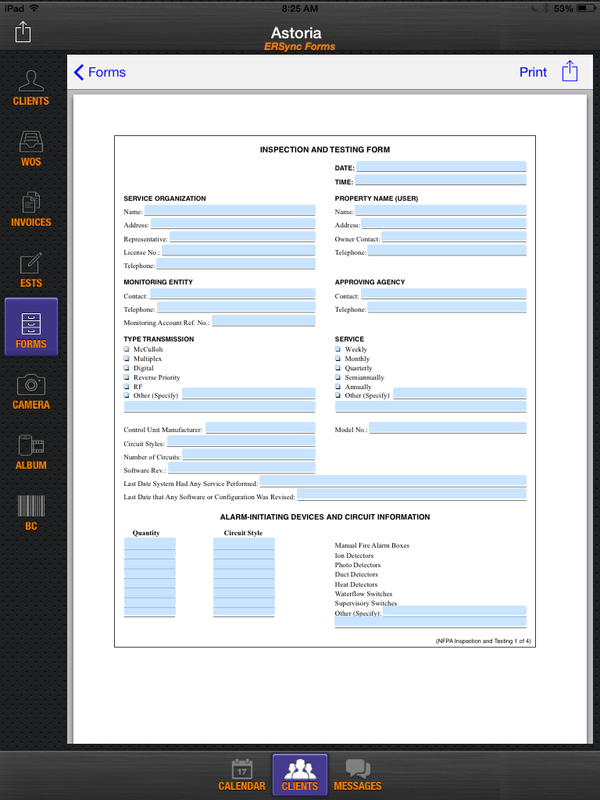 Leverage and enhance your existing forms and database software. Improve personnel efficiency and access to client data. 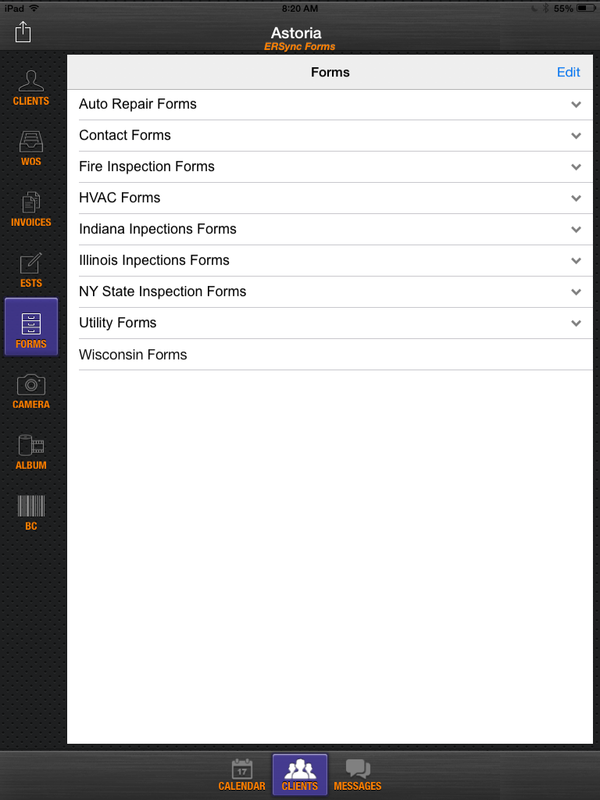 Transition to a mobile forms solution. Improve workflow and efficiency to increase revenue. An ER Sync solution leverages the research and technologies of the world leader in mobile computing. Our expertise within the Apple and iOS development community enables ER Sync to focus on your and our forms software solution. © Copyright ER SYNC. All Rights Reserved.